Our Rose Gold medical ID alert bangle bracelet with red medical emblem is perfect for young girls, teens and adults. 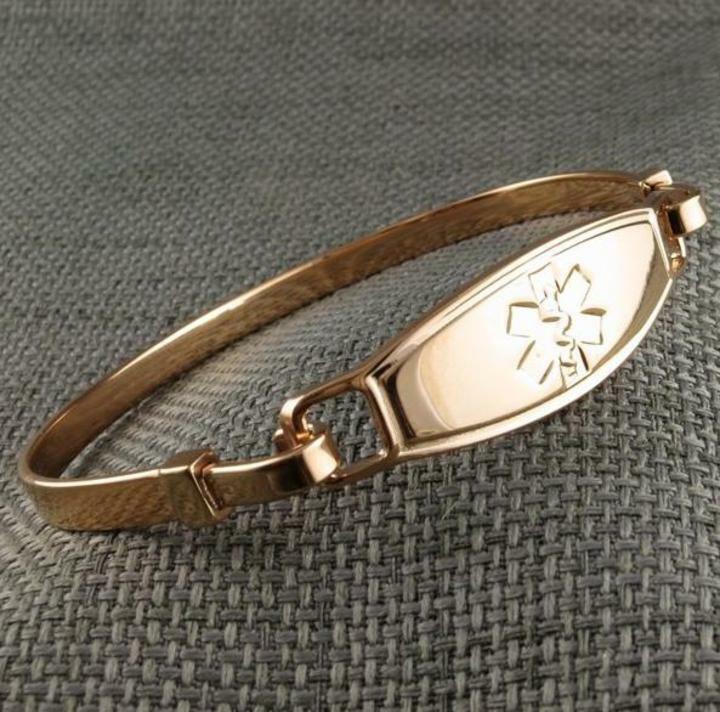 This medical bangle bracelet is one of our best sellers. One side of the bangle bracelet is permanently clamped onto the Medical ID while the other side is an open hook. This makes taking the bracelet on and off a breeze! Made to stand up to everyday wear!